Enhance your lips’ natural shape and plumpness to achieve the look you've always wanted with Lip Filler treatment at sk:n.
WHAT HAPPENS DURING LIP FILLER TREATMENT? Watch a lip filler consultation and procedure delivered by one of our top Injectables Doctors, Doctor Mark Nicholls, so you know exactly what happens when you come to sk:n for your treatment. Lip fillers are injected into the lip in the form of a vial. A vial is simply a measurement of injectable liquid administered during the treatment. Typically a lip filler treatment would require one or two vials, depending on the effect that needs to be created. At sk:n, we use several brands including Juvéderm® dermal fillers as lip fillers to create volume, re-contour or add definition to the lips. Juvederm® contains Hyaluronic acid, a substance which naturally occurs in the body and so it's completely safe to use. Lip filler treatment requires no cuts, incisions or stitches. It may involve some light pain or discomfort. 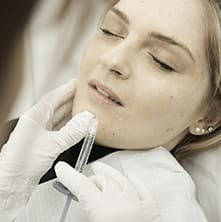 Clients describe it as a tiny scratch as the needle goes in, with a slight stinging sensation as the filler is applied. For those feeling anxious, we can use a local anaesthetic to numb the area completely. Will I look dramatically different after my lip fillers? No. During your free consultation your doctor or nurse will discuss the best plan for you for subtle effects. Our practitioners work like artists, using the natural contours of your face for guidance. Your normal facial expressions will remain unaffected. It's important to us that you achieve the results you want, and we believe this starts with a great consultation. You will never be rushed and our highly trained practitioners will take the time to discuss aspects of your skin you may be unhappy with, your desired results, costs and timings. Our aim is for you to leave your consultation feeling confident, fully informed and looking forward to your treatment. Lip fillers typically last 9-12 months. For example, one of the products we use is Juvederm®. 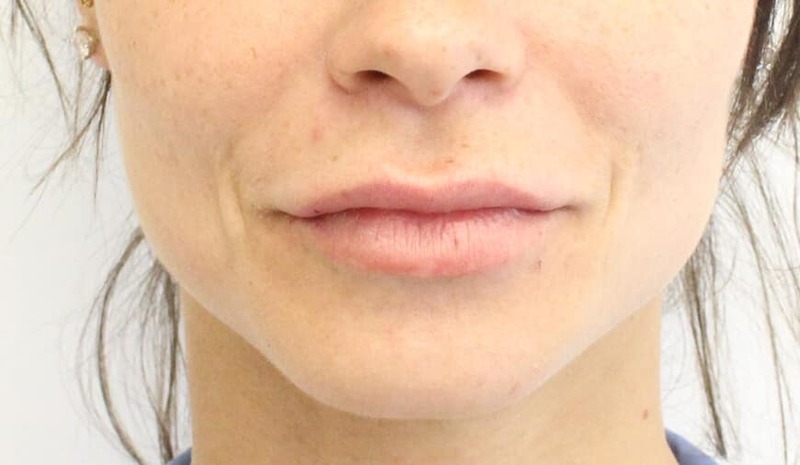 These lip fillers are temporary and will typically last for this time frame, but this can vary depending on several factors including the volume of filler injected. Lifestyle factors, such as smoking or sun exposure, can also affect how long the results last as well as how quickly your body breaks down the filler. I want my lips to look subtly fuller. How do you avoid the "duck lips" look? By working with the natural shape of the lips to add volume and definition. 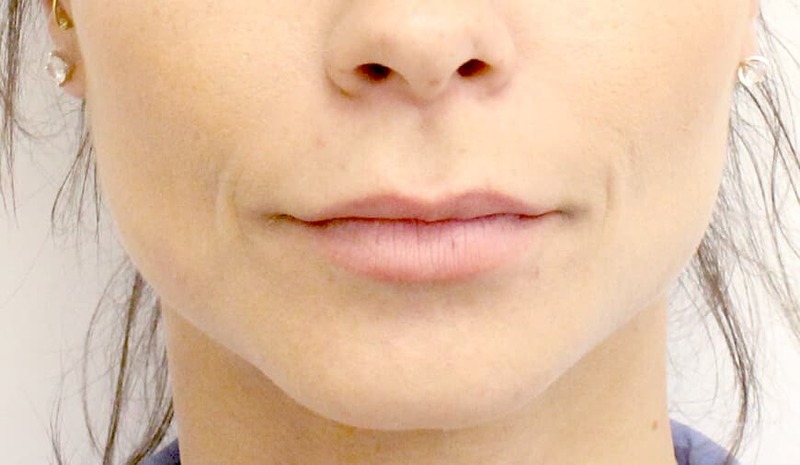 ‘Duck lips’ often occur when the wrong type or too much filler has been used. 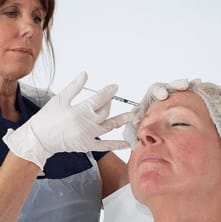 That's why it's important to ensure your practitioner has extensive experience of using fillers, along with a detailed knowledge of facial anatomy. At sk:n, you'll only ever be treated by a fully qualified and registered healthcare professional. We only use the highest grade medical products and perform all treatments in a clinical environment, with strict protocol and procedures to follow. Is it true that your lips feel hard once you've had lip filler? How long before I can wear lip liner or lipstick again?